The Peace Christmas: that’s what many called the holiday season of the winter of 1918. 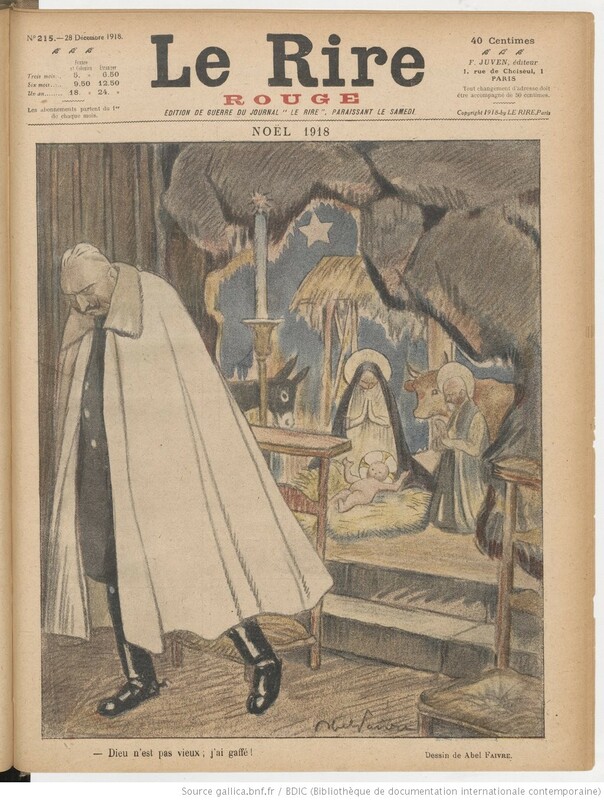 Just weeks earlier, the Armistice ended the world war that had lasted for over four years, involved thirty-two nations, and killed an estimated 16 million. Yet though the war was over, most of the fighting men and women volunteers had not yet returned home, but instead continued to serve overseas. Carola Oman, daughter of an Oxford military historian, enlisted as a V.A.D. nurse on July 1, 1916. 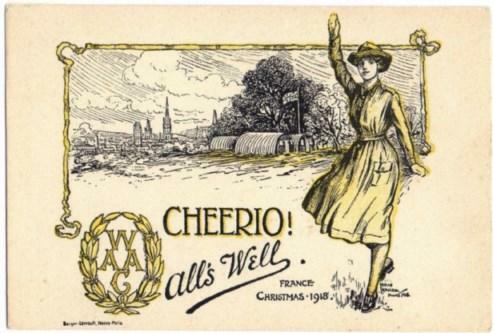 In December of 1918, she was working at the British rest station in Boulogne, France. The trees stand black against the Christmas rain. To stare and scribble while the shadows fall? Three days the dawning sky has been inflamed. There have been angels seen above the hills. The ceaseless wind slashes the clouds apart. Deserted, feeling for her frozen heart. The inn is overcrowded. We pass on. The star is stayed above the inn—or gone. We only hear a new-born infant cry. This Christmas scene is grey and bleak. Rain-sodden flags drip upon the pain of widows, fatherless children, refugees, and the myriads of others who must now bear the aftereffects of the war. The pervasive mood is one of desolation: now that peace has returned, is this shadowed world the best that can be hoped for? As dusk falls, the poem’s narrator leaves the shelter of her canvas tent and wanders alone into the night. She makes her exhausted way through the blackness, hearing the distant sounds of village life, until she finds herself in the company of a stranger. 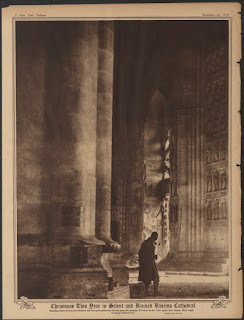 They walk together under a star that blazes with “heroic light,” discussing recent rumors of signs and wonders: angels have been seen in the hills. 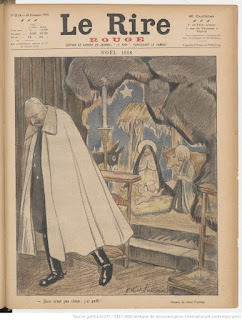 The crowded French town, besieged by the burdens of war, blurs and recedes until its skies and inns recall another village in a far-off land, where refugees sought shelter, peasants set out in search of the miraculous, and distant foreigners journeyed to find a new king. The correspondences between the past and present may hint at a brighter future, but no angel of Bethlehem— nor of Mons—appears with clear reassurance. Perhaps the strange traveler is an angel; perhaps not. The inn may shelter a miraculous birth, but the walkers do not stop. The infant’s cry may be that of a transcendent God who loves beyond reason, or only the wail of another undernourished, impoverished child in a war-torn country. Four years of brutal war have left the heart of the countryside unprotected and frozen; the mystery is whether the hearts of the men and women who survived can be thawed and healed, can learn again to feel and to believe. One-hundred years after the Great War began, the lost continue to be found. In the midst of centenary commemorations, unidentified soldiers’ remains have been identified and reinterred, and soldiers’ medals, pocket-watches, and other personal effects have been located and returned to their families. 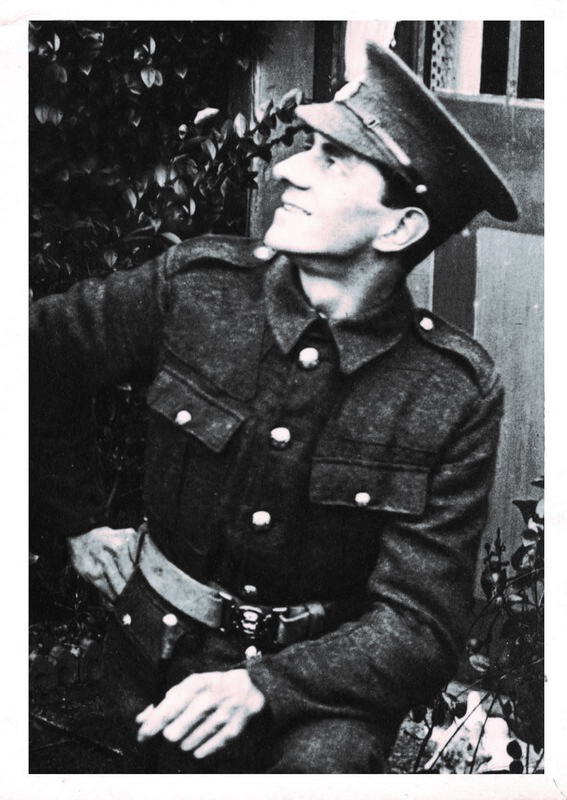 One of the most remarkable stories is that of Private Alick Ellis -- his war-time notebook was found in the attic of a home in Hertfordshire in 2017. 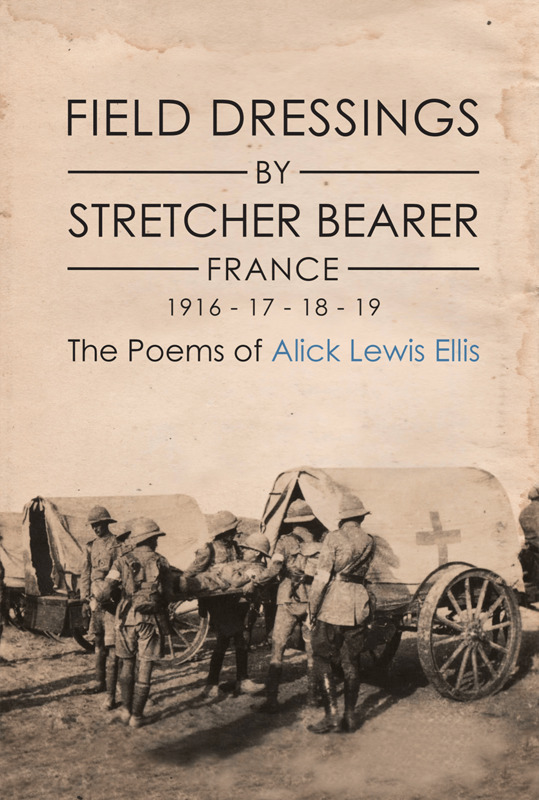 Ellis tended the wounded on the Western Front, and he titled his poetry journal Field Dressings by Stretcher Bearer. 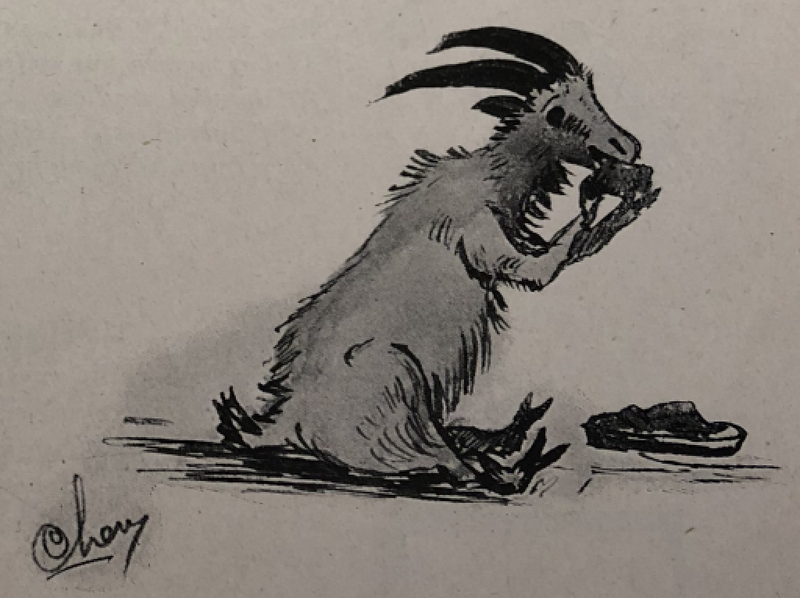 After having been forgotten for nearly one-hundred years, Ellis’s notebook was anonymously donated to those curating the Herts at War exhibition, and historian Dan Hill was able to research and identify Alick Ellis’s descendants, returning the journal to them. 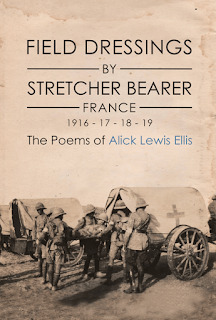 Just days before the centenary of the Armistice, the family published Ellis’s poems with a brief biographical introduction. Here is his poem “Revenge,” a humorous comment on one of the most hated realities of daily life at the front. For I’m going to find the blinkin’ man who made the Army biscuit. Soak Them & the Pleasure’s Thine. We Give A Set Of Teeth. 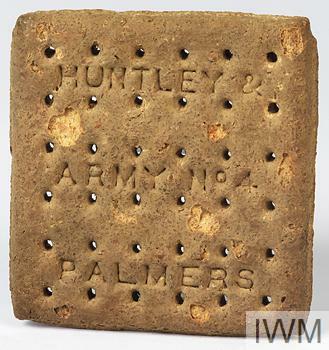 Soldiers who did not wish to eat the Army-issued biscuits found new and creative uses for the rations. 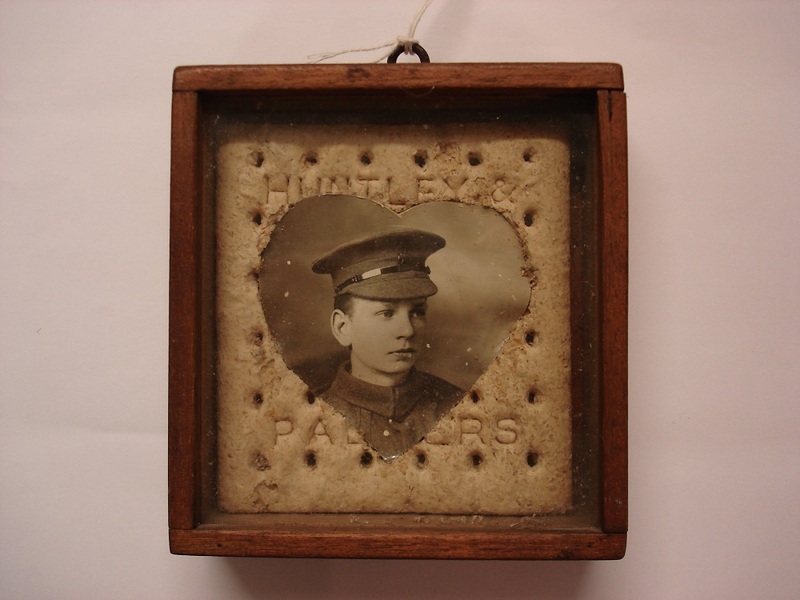 In 2015, a British museum exhibition “The First World War in Biscuits” displayed a “unique collection of 100 year-old ration biscuits, personally modified by soldiers”† who had repurposed the hard tack as stationery, picture frames, and small art canvases. 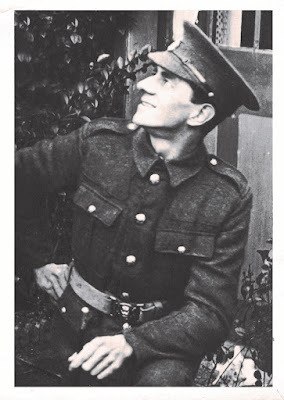 Private Ellis maintained his sense of humor during the war; we can hope that the dedicated stretcher bearer also returned from France with his teeth intact. * The quotation has been attributed to both Napoleon Bonaparte and Frederick the Great of Prussia. 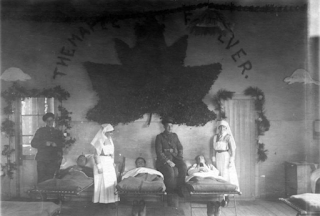 *** “A Mascot’s Lament,” Another Garland from the Front, Mark IV, Christmas 1918/New Year 1919. 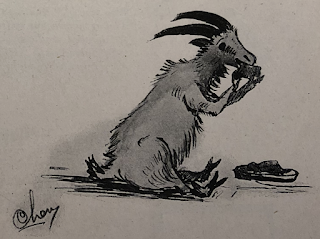 **** Rachel Duffett, “Biscuit for breakfast—trench warfare was hard on soldiers’ teeth,” The Conversation, posted 18 Nov. 2016. 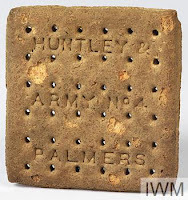 † “The First World War in Biscuits,” Everyday Lives in War, posted 12 May 2015. †† Sam Webb, “Could you still dunk them in your tea?” Daily Mail, 10 June 2014.